For heat pump installation, repair and service in the Seattle area, call a Fox Heating & Cooling Specialist. Heat Pumps provide both heating in winter and cooling in summer, and are ideal for our PNW climate. Our knowledgeable team is ready to provide you with the heating and cooling options that best fit your lifestyle, home type and budget. 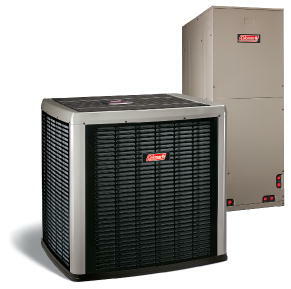 For year round comfort and energy savings, heat pumps are a great choice. They take heat from the air and deliver it to your house, (which is why they are called “air source”). They can squeeze that heat out even when you feel cold. No wonder they’ve become a popular option for Seattle area homes. For homes with existing ductwork, an air source heat pump may be your best bet. For electrically heated homes without ductwork, ductless split systems offer the same heating and cooling benefits. 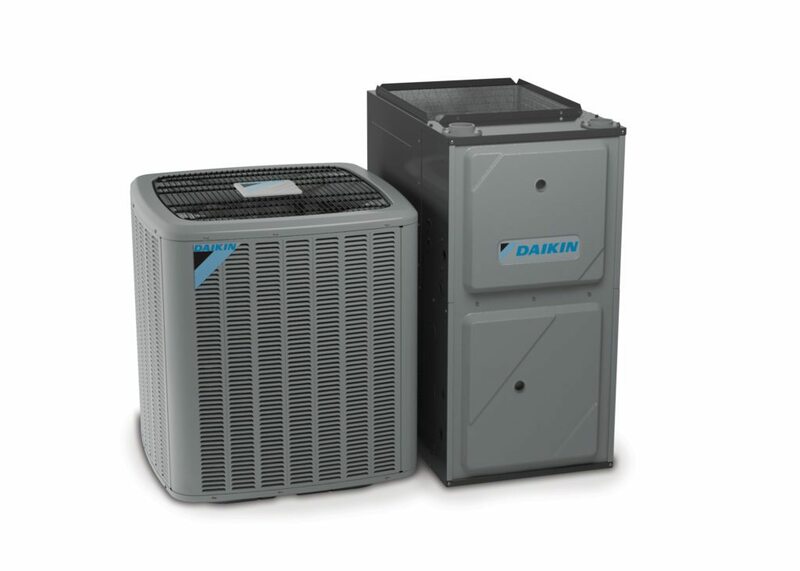 Fox’s Heating & Cooling Specialists recommend heat pumps from Daikin that provide excellent heating and cooling at a great value. When you meet with your Fox Heating & Cooling Specialist, they will go over how heat pumps work and benefit you in detail, but here are some of the basics of heating with a heat pump. The air source heat pump unit sits outside of your home in the yard or on a patio. They are essentially a reversible refrigeration system, moving warm air to where you need it to be. Just as in your refrigerator, when you want things cold, you remove the heat. But for heating, a heat pump will reverse that. Outside, the heat pump uses liquid refrigerant to absorb heat from the surrounding air, which turns it into a gas. It sends that into the house via a refrigerant line, where it’s compressed back into a liquid, releasing its heat. In the summer, this process is reversed to cool the house. Inside the house, that refrigerant line connects to your furnace or electric air handler which has a heat pump evaporator coil installed. This collects the heat so that the fan inside of the furnace or air handler can distribute it through your ducts to heat the house. Today’s heat pumps can also provide advanced features including humidity control which is important for air quality, inhibiting the growth of mold and making your home more comfortable. Definitely! Heat pumps run on electricity and create heat for free – sourcing it from the air. According to EnergyStar (EPA) a heat pump uses about 50% less electricity than electric baseboard heating. So it is both energy and cost efficient to run. Even if you have a natural gas furnace as your back up heat source, you will consume far less fossil fuel by adding a heat pump. WILL A HEAT PUMP WORK WHEN IT IS BELOW FREEZING? The way that a heat pump or hybrid heating system works is that the heat pump will automatically switch over to a backup heat source when there is not enough warmth in the air for it to operate efficiently. Once it gets to about 35F degrees, it is working too hard to get that heat and may not fully heat to your desired temperature. Think of it as if you were climbing Mt. Everest. You may get most of the way there, and then at some point, you may need supplemental oxygen. In this case, there will be a backup heat source, such as the furnace or air handler that it is connected to. The air source heat pump will have a lockout control which tells it to make the switch to your backup heat source. This is set up upon installation. Puget Sound Energy recommends that the lockout be set at 40F degrees for an efficient total heating system. Although we have mild winters in Seattle, it does get below 40F degrees at night for several months of the year. There’s nothing you need to do. Your heat pump system will switch over automatically, and optimize for the most energy efficient way to reach the desired temperature you set on the thermostat. The backup heat source can be your furnace, which might run on gas, oil or propane, or electricity. Even if you use the backup heat source on cold nights, your overall energy costs will still be lower using a heat pump system. Note that ductless heat pumps do not require this lockout and some can generate heat down to zero degrees. WHAT MAINTENANCE WILL A HEAT PUMP REQUIRE? For homeowners who have gas, propane or oil furnaces, annual maintenance that equipment is a standard best practice to keep it in working order, and burning fuel efficiently. Although you might not think that electric appliances need annual maintenance, your heat pump will need its refrigerant checked and all systems tested annually. A heat pump or air conditioner maintenance can best be conducted in the spring or early summer, when daytime temperatures reach 60 degrees outside. Fox’s HVAC Specialists provide free heat pump estimates. 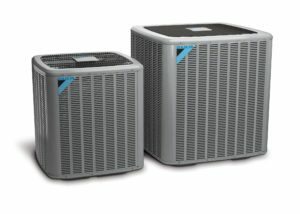 Heat pumps will last about 15 years, and our technicians always advise you of repair options with or before we recommend a replacement of your existing heat pump system. WHY CHOOSE FOX TO INSTALL YOUR HEAT PUMP? Fox’s Heating & Cooling team is manufacturer trained and committed to providing you the highest standard of care. They keep on top of heat pump product changes, installation methods and service needs with continuous training. Our Heat Pump Specialists are certified in all local and international mechanical codes. 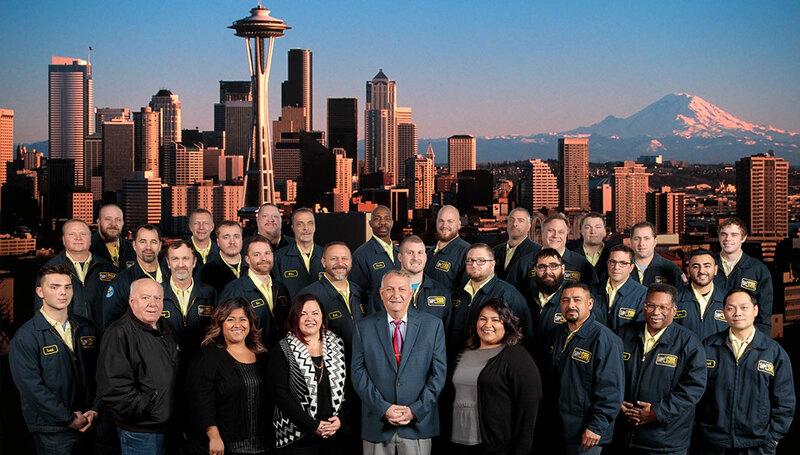 Fox Plumbing & Heating operates in Seattle and Greater King County. Check our service map and call Fox Plumbing & Heating to schedule your heat pump estimate or service appointment today. Or fill out the contact form on the right side of this page, and we’ll call you! Talk to Fox today!